ISLAMABAD: Prime Minister Imran Khan on Sunday called for effective implementation of the National Action Plan (NAP) to rid the country of terrorism and extremism as he paid tribute to the victim of Army Public School attack. 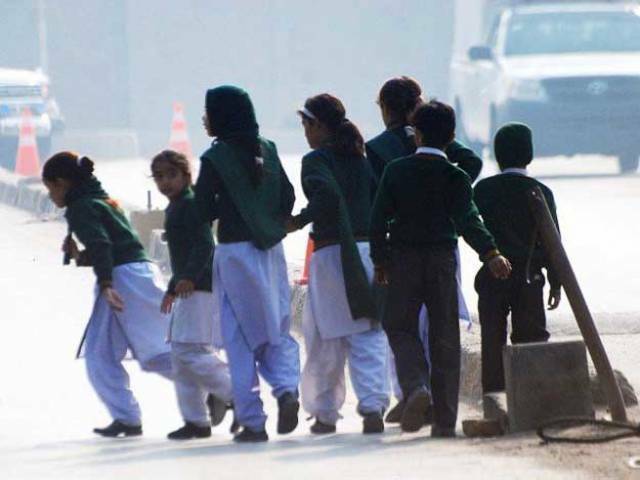 Sunday marked the 4th anniversary of the terror attack that had claimed the lives at least 144 persons when heavily-armed terrorists attacked an army-run school in Peshawar. The attack that had sent shockwaves across the country was condemned by all strata of society, and a special plan was formed to root out the menace of terrorism and extremism in all forms. Also, the government approved the formation of military courts for swift justice. Speaking on the anniversary, the PM said that the attack unified and solidified the “whole nation against an enemy which is a blot on humanity and the worst manifestation of animalism”. He said that education was the best tool to defeat extremism and terrorism for good. He expressed government’s commitment to turn Pakistan into a society that will not tolerate extremism and violence in the name of sect, religion, language, colour, ethnic origin or any other discriminatory criterion. He also paid rich tribute to the heroes of the “valiant armed forces and law enforcement agencies who paid uncountable sacrifices in the war against terror”. President Arif Alvi said that the APS incident is a national tragedy as well as a day to re-pledge our commitments against inimical forces. He urged the nation to be ready to make every sacrifice to curb extremism in the country. Meanwhile, Foreign Minister Shah Mehmood Qureshi also said that the “barbaric attack on APS remains a scar on the collective memory of Pakistan”. The foreign minister added that even after four years, the pain and sorrow of this “senseless and heinous act remain fresh”. Though the attack shocked the whole nation, it also tested the resilience and resolve of Pakistan to fight terrorism and extremism, the FM said, adding that the country emerged “strengthened following the test”. FM Qureshi added that the anniversary of this day is also a reminder for the international community that terrorism is a common enemy and must be jointly fought. “We will never forget the sacrifices made by our innocent children,” he added. In a statement, Human Rights Minister Shireen Mazari said that the implementation of the NAP should be made a success at “any cost to avenge the loss of innocent souls”. “Today, four years back, we still recall the horror of the Army Public School terror attack.” “My prayers go to the families of the victims and the survivors – their grief and pain cannot be fathomed. We must implement the National Action Plan comprehensively and act decisively against all purveyors of hate”, she wrote in a tweet. In his message on the occasion, Punjab Chief Minister Usman Buzdar said that the young martyrs of the school have written the history of gallantry and courage with their blood for the safe and secure future of Pakistan. He said that the students and teachers of the school sacrificed their lives for the “attainment of a noble cause”. On Saturday, Khyber Pakhtunkhwa (KP) Chief Minister Mahmood Khan had also lauded the sacrifices of the students, saying that “they will always be remembered” and added that the tragic incident shows the brutality of terrorist mindset. He added that a monument has been constructed in Peshawar in the memory of the martyred students for this purpose. Khan said that provincial government will always extend helping hand to the bereaved families of APS carnage. A special function was arranged at the school on Sunday to pay homage to the martyred students and teachers of the school.